Shelving in a bedroom can be practical but also is a chance to display your much loved books and individual pieces. 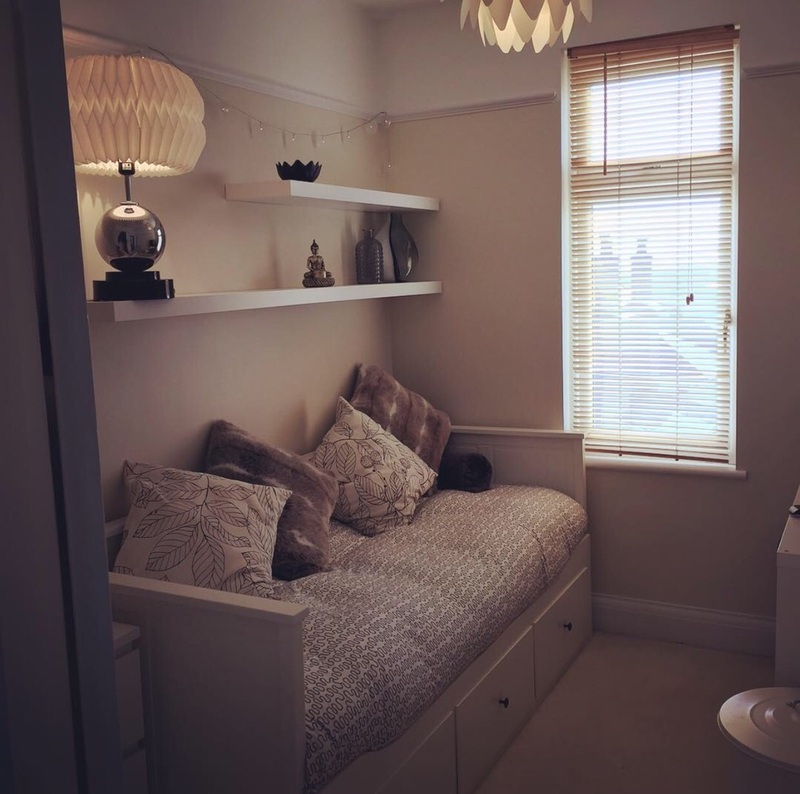 You can still make the most from a small bedroom, IKEA daybeds are a fantastic investment, although this room is small you can still pull the bed out into a double. There are three really big storage draws underneath. So we have a three draw chest plus a double bed when needed and a cube unit for the tv, walls to bring extra interest and storage all in a small box room.